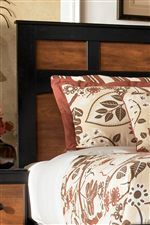 The two-tone finish of this panel bed contrasts black with golden rub through on the outside frame and a warm brown finish over replicated cherry grain on the center panels. The vintage casual design makes an appealing addition to a sophisticated youth bedroom for a boy or girl or a bed for a guest bedroom. The Aimwell Two-Tone Finish Twin Panel Bed by Signature Design by Ashley at Michael's Furniture Warehouse in the San Fernando & Los Angeles area. Product availability may vary. Contact us for the most current availability on this product. B136-53 Two-Tone Finish Twin Panel Headboard 1 42" 2" 51"
B136-52 Twin Panel Footboard 1 42" 2" 18"
B136-83 Twin Panel Rails 1 0" 0" 0"
The Aimwell collection is a great option if you are looking for Casual furniture in the San Fernando & Los Angeles area. 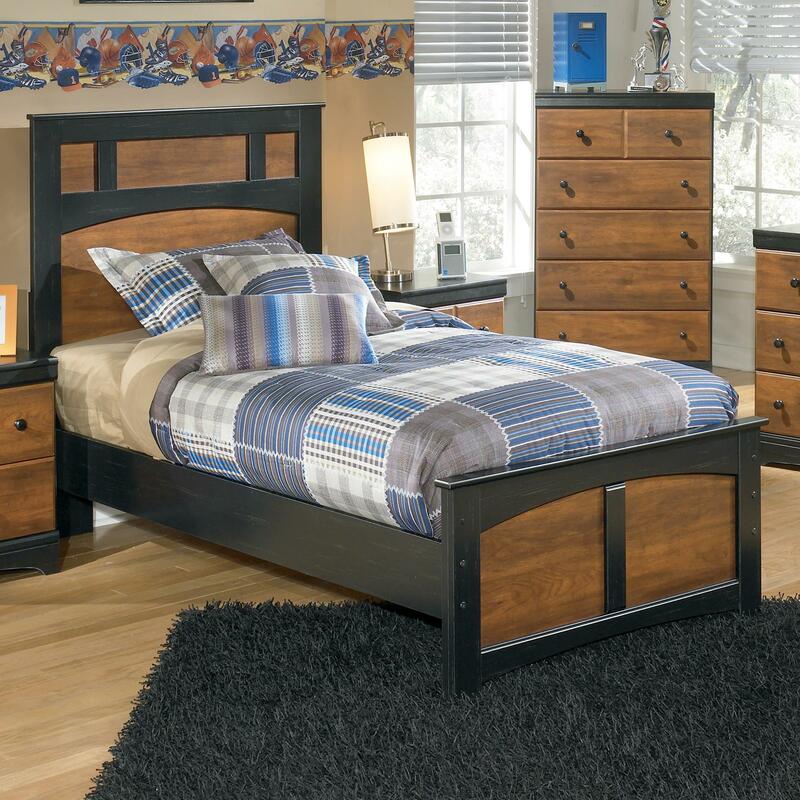 Browse other items in the Aimwell collection from Michael's Furniture Warehouse in the San Fernando & Los Angeles area.